Check out our other Easter Crafts and Puppet Crafts. 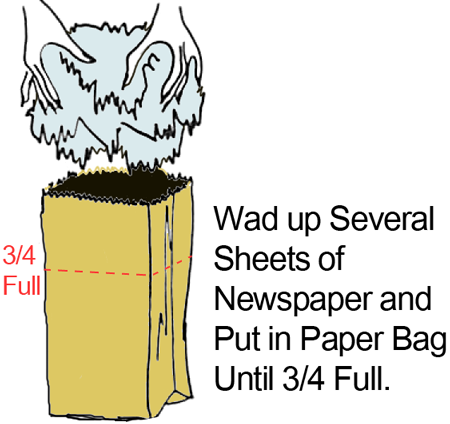 Wad up several sheets of newspaper and put in paper bag until 3/4 full. 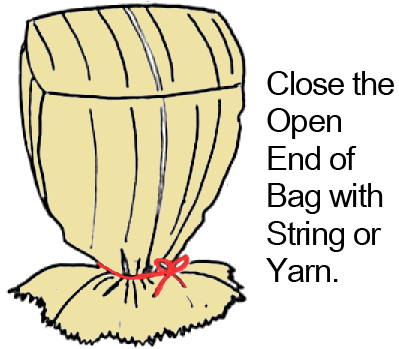 Close the open end of bag with string or yarn. 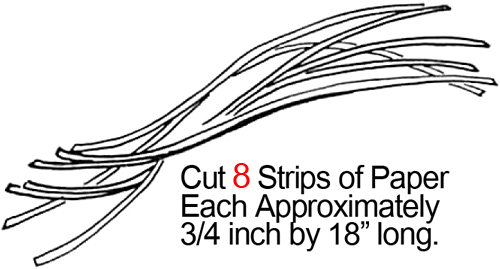 Cut 8 strips of paper each approximately 3/4 inch by 18 inches long. Glue ends of 2 strips of paper together at right angle (so it looks like a letter L). 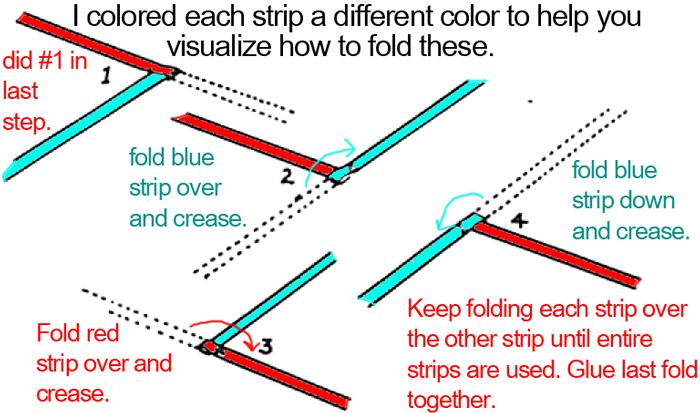 I colored each strip a different color to help you visualize how to fold these. 1) did #1 in last step. 2) fold blue strip over and crease. 3) fold red strip over and crease. 4) fold blue strip down and crease. Keep folding each strip over the other strip until entire strips are used. Glue last fold together. 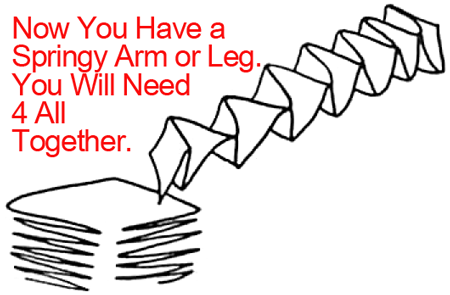 Now you have a springy arm or leg. You will need 4 all together. 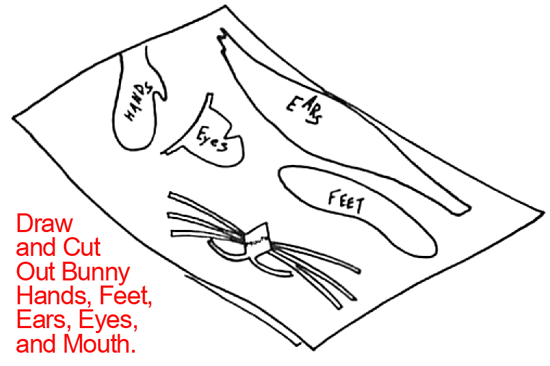 Draw and cut out bunny hands, feet, ears, eyes and mouth. 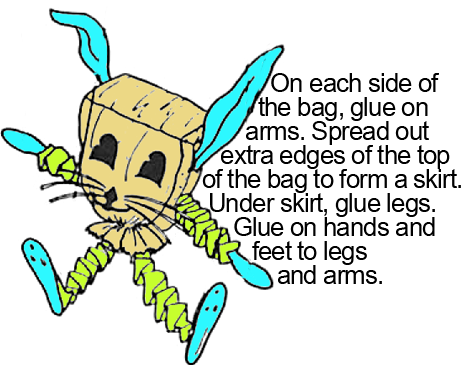 On each side of the bag, glue on arms. Spread out extra edges of the top of the bag to form a skirt. Under skirt, glue legs. Glue on hands and feet to legs and arms. 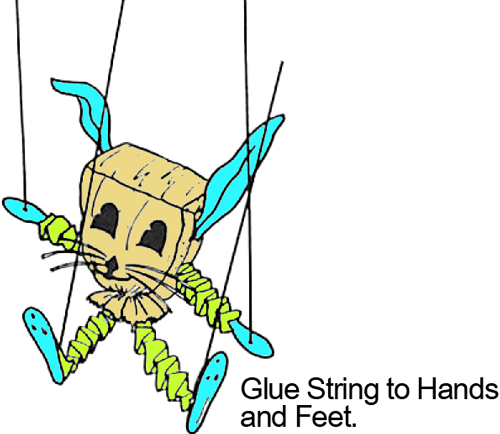 Glue string to hands and feet. 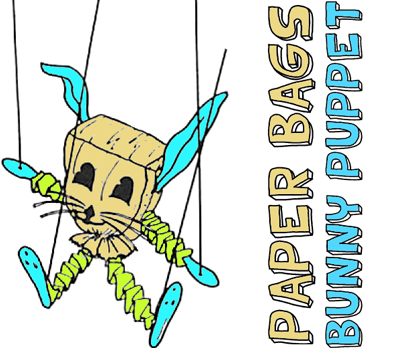 There you go….. you just finished your paper bag bunny puppet. Isn’t it adorable? Now move the strings and watch the the bunny dance. What else can you make him do?